This page will showcase the best psychology videos that can be accessed online. The background to some of the psychology videos featured below will be provided along with additional information resources. The Psychology Video Collection is a new initiative designed to make all the current and future videos featured here on the All About Psychology website and the Psychology facebook page available in one central location. Albert Bandura is widely regarded as the greatest living psychologist. As the originator of social cognitive theory, he helped shift the emphasis of psychology away from psychodynamic and classic behaviorist perspectives. 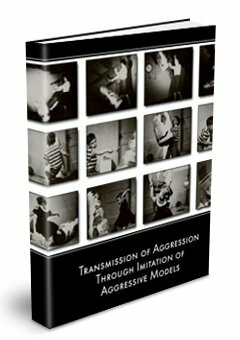 In the early 1960's Bandura began investigating aggression through imitation, research that gave rise to one of the most famous psychology experiments of all time. 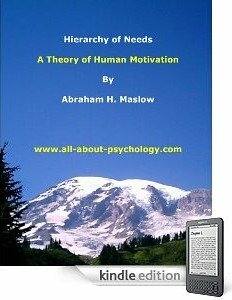 This book is a dialogue with one of the seminal contributors to American psychology. 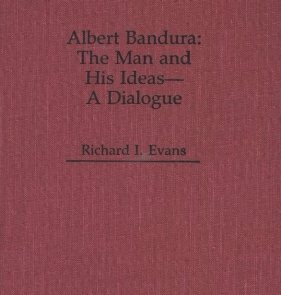 Albert Bandura: The Man and His Ideas will introduce the reader to Bandura's major ideas and points of view, conveying through the extemporaneousness of the dialogue style a feeling for his personality. Posing questions which focus on Bandura's research and published works, editor Richard Evans gives the reader an overview that traces Bandura's career from early training onward. With an introduction by noted psychologist Ernest R. Hilgard and a complete bibliography of Bandura's published work, this book will prove an invaluable resource for students and scholars. The book begins with an examination of Bandura's early training and how he was influenced by the logical positivism and behavioralism which pervaded during the Kenneth Spence era at Iowa. He talks about his early work on modeling and how he developed and applied an empirical theory based approach to psychotherapy. In subsequent chapters Bandura discusses his theories and research in the area of aggression and how the results from his research have become an issue in public policy regarding such issues as the role of mass media in generating violence. He talks about his conceptions of moral development and moral disengagement. He discusses his views on the role of competency and skills in the individual and how they relate to the individual's level of self-efficacy. Finally, Bandura reacts to some of the criticism of his work. See following link for full details. Thought provoking talk by Professor Martin Seligman discussing why psychology was good, why psychology was not good and how psychology might become good enough in the future. Martin Seligman founded the field of positive psychology in 2000, and has devoted his career since then to furthering the study of positive emotion, positive character traits, and positive institutions. It's a fascinating field of study that had few empirical, scientific measures; traditional clinical psychology focusing more on the repair of unhappy states than the propagation and nurturing of happy ones. In his pioneering work, Seligman directs the Positive Psychology Center at the University of Pennsylvania, developing clinical tools and training the next generation of positive psychologists. His earlier work focused on perhaps the opposite state: learned helplessness, in which a person feels he or she is powerless to change a situation that is, in fact, changeable. Seligman is an often-cited authority in this field as well; in fact, his is the 13th most likely name to pop up in a general psych textbook. 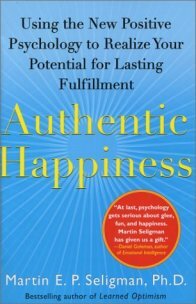 In this national bestseller - Martin Seligman's most stimulating, persuasive book to date; the acclaimed author of Learned Optimism introduces yet another revolutionary idea. Drawing on groundbreaking scientific research, Seligman shows how Positive Psychology is shifting the profession's paradigm away from its narrow-minded focus on pathology, victimology, and mental illness to positive emotion and mental health. Happiness, studies show, is not the result of good genes or luck. It can be cultivated by identifying and nurturing traits that we already possess; including kindness, originality, humor, optimism, and generosity. This is a provocative and witty look at how our private spaces from boardroom to bedroom reveal our personalities, whether we know it or not! 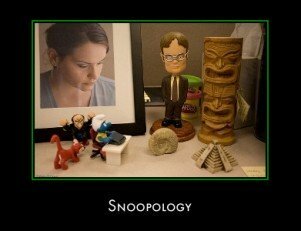 Does what's on your desk reveal what's on your mind? 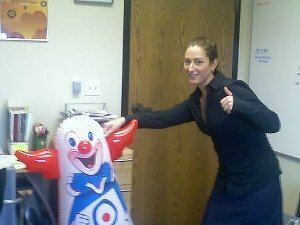 Do those pictures on your walls tell true tales about you? And is your favourite outfit about to give you away? For the last ten years, psychologist Sam Gosling has been studying how people project (and protect) their inner selves. By exploring our private worlds (desks, bedrooms, even our clothes and our cars, he shows not only how we showcase our personalities in unexpected - and unplanned - ways, but also how we crate personality in the first place, communicate it to others, and interpret the world around us. Gosling, one of the field's most innovative researchers, dispatches teams of scientific snoops to poke around dorm rooms and offices, to see what can be learned about people simply from looking at their stuff. What he has discovered is astonishing: when it comes to the most essential components of our personalities - from friendliness to flexibility - the things we own and the way we arrange them often say more about us than even our most intimate conversations. 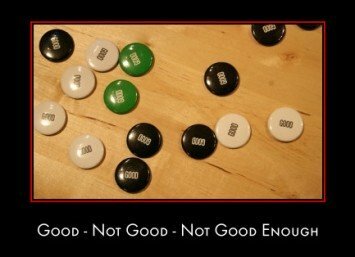 If you know what to look for, you can figure out how reliable a new boyfriend is by peeking into his medicine cabinet or whether an employee is committee to her job by analyzing her cubicle. Bottom line: the insights we gain can boost our understanding of ourselves and sharpen our perceptions of others. 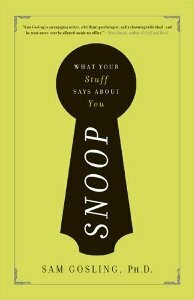 Packed with original research and fascinating stories, "Snoop" is a captivating guidebook to our not-so-secret selves. The late Stanley Milgram is widely regarded as one of the most influential social psychologists' ever. His controversial experiments into obedience in the early 1960's continue to be debated and discussed in psychology classes across the world. Milgram's obedience experiments had a profound effect on ethical conduct within psychological research and this type of research would simply not be allowed today. Very informative website written and hosted by Dr. Thomas Blass. In describing the site, Dr Blass states that: "The purpose of this website is to be a source of accurate information about the life and work of one of the most outstanding social scientists of our time, the social psychologist Stanley Milgram. The sole and definitive biography of one of the 20th century's most influential and controversial psychologists. The creator of the famous "Obedience Experiments," carried out at Yale in the 1960s, and originator of the "six degrees of separation" concept, Stanley Milgram was one of the most innovative scientists of our time. In this sparkling biography--the first in-depth portrait of Milgram--Thomas Blass captures the colorful personality and pioneering work of a social psychologist who profoundly altered the way we think about human nature. Born in the Bronx in 1933, Stanley Milgram was the son of Eastern European Jews, and his powerful Obedience Experiments had obvious intellectual roots in the Holocaust. The experiments, which confirmed that "normal" people would readily inflict pain on innocent victims at the behest of an authority figure, generated a firestorm of public interest and outrage-proving, as they did, that moral beliefs were far more malleable than previously thought. But Milgram also explored other aspects of social psychology, from information overload to television violence to the notion that we live in a small world. Although he died suddenly at the height of his career, his work continues to shape the way we live and think today. Blass offers a brilliant portrait of an eccentric visionary scientist who revealed the hidden workings of our very social world. See following link for full details.